Goodreads Summary: Stephen has been invisible for practically his whole life — because of a curse his grandfather, a powerful cursecaster, bestowed on Stephen’s mother before Stephen was born. So when Elizabeth moves to Stephen’s NYC apartment building from Minnesota, no one is more surprised than he is that she can see him. A budding romance ensues, and when Stephen confides in Elizabeth about his predicament, the two of them decide to dive headfirst into the secret world of cursecasters and spellseekers to figure out a way to break the curse. But things don’t go as planned, especially when Stephen’s grandfather arrives in town, taking his anger out on everyone he sees. In the end, Elizabeth and Stephen must decide how big of a sacrifice they’re willing to make for Stephen to become visible — because the answer could mean the difference between life and death. At least for Elizabeth. Andrea Cremer is one of the authors on my auto-buy list, and I knew that a book co-authored by her and David Levithan would have to be good. Even those the books of these two authors are nothing alike, this collaboration works quite well. Invisibility is a great blend of a fantasy world and a contemporary story, and after the final page I couldn't help but feel sad that the book was over already. I do. And that's just as surprising as being touched, as being seen." Even though Andrea and David alternated chapters, the story flowed seamlessly, and the authors seemed to feed off of each other to make one cohesive story. One of the things I loved about this book is how well I felt like I knew the three main characters. I enjoyed the chapters alternating points of view so that both Stephen and Elizabeth's stories were told. Their emotions were so vivid and my heart broke for them and the sense of isolation they felt. Once they met, I really enjoyed seeing their relationship progress. Even though Elizabeth was the only one who could see Stephen, they were still friends first, which was refreshing amid all the insta-love books. Even without the paranormal aspect, Stephen and Elizabeth seem made for each other, drawn together by a fragile vulnerability and a longing for someone who would simply let them be as they were. Another central character the the story is Laurie, and he is, in a word, awesome. He's also a comedian, a voice of reason, and a good friend and brother. I also liked Saul and Millie, especially the devotion they shared. I would have liked to have seen even more of them. I liked how magic was gradually introduced into the reality of this story, and I wanted to know more about this world - all of the history of cursecasters and spellseekers. Andrea always creates rich worlds, and Invisibility was no exception. This, combined with David's knack for contemporary writing, led to some really beautiful moments in the story. Then again, with two fabulous authors writing one story, you really can't go wrong. Even though this book is a standalone, I know that there could be more books in this world. 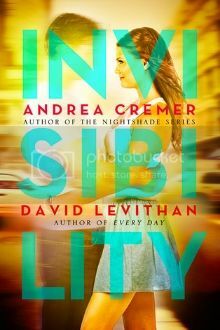 I will secretly hope for that while continuing to read Andrea Cremer and David Levithan's other books! They came to my local bookstore for a signing and it was so great hearing them read! I'm so excited to read this one and I'm glad to hear you liked it! 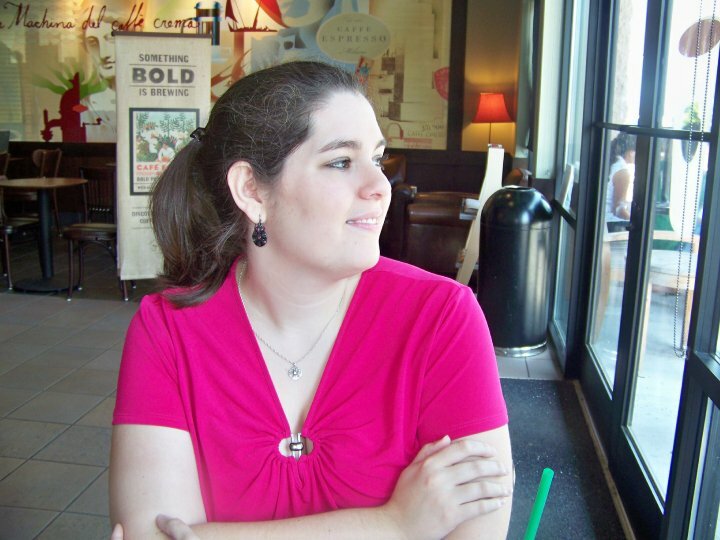 I know how picky you are :) Awesome review, I'm really excited to read this one! Nice review! Been reading lots of good reviews on this one but still cannot make up my mind if I should read it or not. I love Andrea's books and heard good things about David's as well. Maybe someday! I'm really excited to read this one. Glad you enjoyed it!